Skills required: casting-on, knitting, purling, knitting in the round, increasing, decreasing, knitting on dpns, picking up stitches, yarn over, seaming (only if working pockets). Construction: A very fast and easy knit, this cardigan is knit from the top down seamlessly. The body is worked flat; the sleeves are worked in the round. Stitches are picked up along side edges and neckline to work buttonbands and collar. Optional pockets can be worked. Their lining requires some seaming. 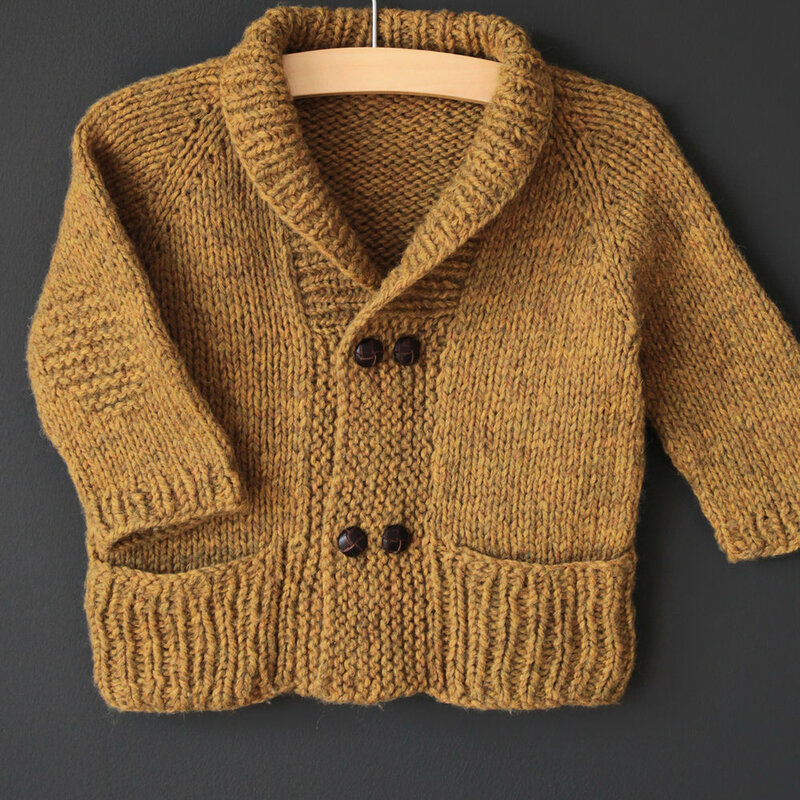 Cozy yet elegant, comfy and warm, this is the perfect cardigan to snuggle up in at storytime. Just enough ribbing to be distinguished… and just enough garter stitch to be adorable! Finished garment has chest circumferences of 20 (22.5, 23.5, 25, 27, 28) inches or 51 (57, 60, 63, 68.5, 71.5) cm. US 9 / 5.5mm circular needles or 1 size smaller than needles that get you stockinette gauge.